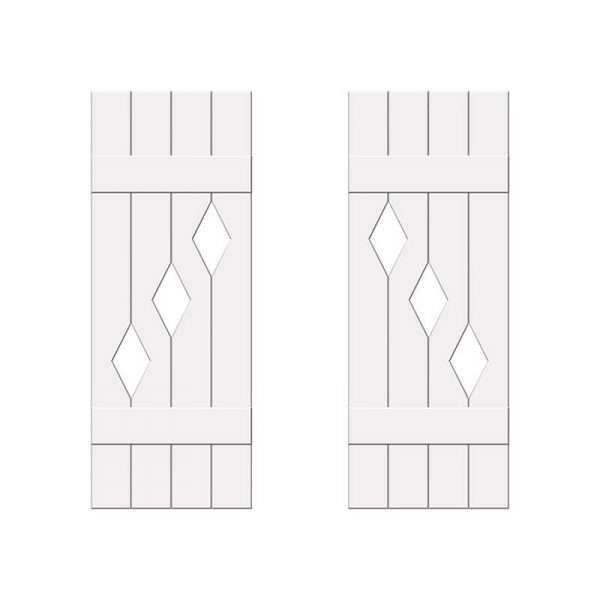 The Larry Joseph shutter has two columns of diamonds on each shutter totaling two, four or size diamonds based on the shutter height. Choose your shutter size from our most-commonly requested sizes, or ask about custom sizes (see Further Information below). 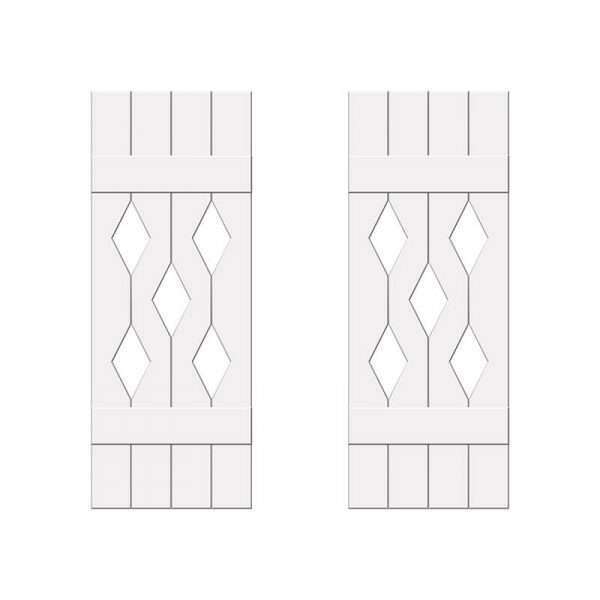 You won’t mistake our shutters for those plastic, big-box store shutters; our shutters are beefy! 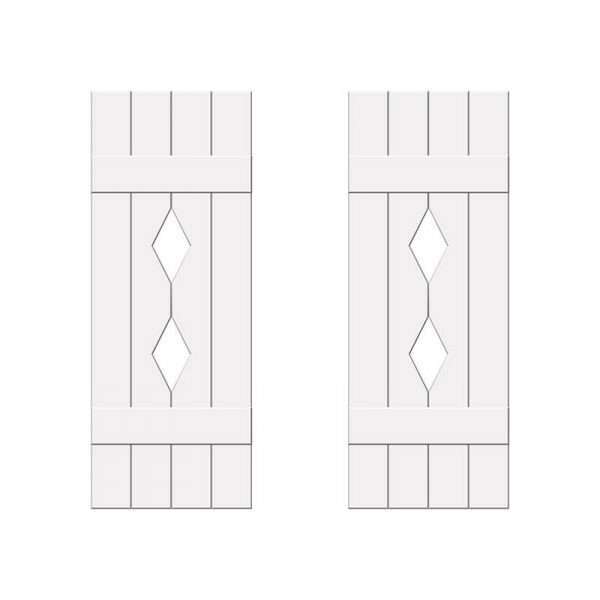 The Larry Joseph shutter set consists of one pair of shutters constructed from a heavy-duty recycled wood material suited for exterior exposure. Boards are grooved and not individual pieces for ease of maintenance. 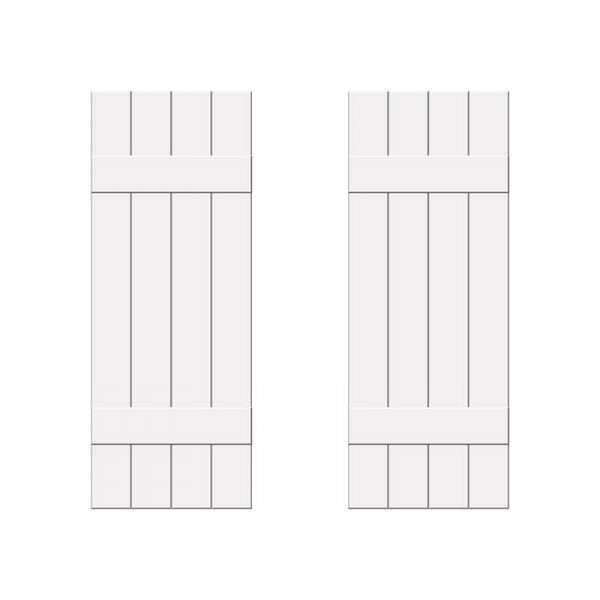 All shutters come pre-primed, ready for the paint of your choice. 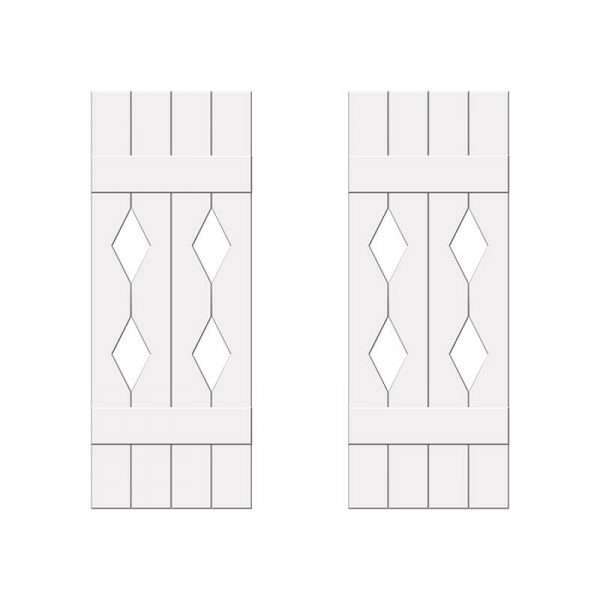 Included is our standard, non-operable mounting hardware set consisting of four (two per shutter) polycarbonate L-brackets which support the top and bottom of each shutter for a concealed appearance.